Note: This piece started out as a short, light-hearted, Thanksgiving letter to the editor about my octogenarian neighbor’s porta-piles and Davis Waste Removal’s (DWR’s) attempt to pick up said brush piles. Paul Hart, owner/operator, of DWR told me my letter was posted on the bulletin board in the DWR lunch room for many months. As a writer, when trash men like your writing, you know you’re producing good trash. Hope you enjoy this recycled story. Traditional Davis yard waste pile of the non-portable type. Asphalt, asphalt everywhere, but not a patch to park on, particularly if you are a student. The city council does battle with school board over parking at and around Davis High School. The great minds at the university decree that UC Davis freshmen will not bring cars to UC Davis and have torn-up some key parking lots to make their decision irrevocable. Fact is that trying to get teens and twenty-somethings to give up their cars is a loosing proposition. Kids will find a place to park their cars, on the street or elsewhere, in your neighborhood or mine. The special parking districts close to campus and the torn up parking lots on campus just send these young motorists off in quest of the next best place to park. So my octogenarian neighbor took more direct action to protect his fiefdom from the dreaded student parking lot syndrome. Anyroad, this technique for restricting parking requires due diligence by the home owner. Every week my retired neighbor sets his decoy piles out on the street in front of his house, and every week he retrieves them just before the brush disposal crew arrives. Of course this practice drives some of his neighbors nuts, particularly the students who live next door to this codger and who like most college students have lots or cars—one per household member (six) plus one for the house (seven cars for one three-bedroom house). But things don’t always go according to plan for the sovereign of the household and the lord of his on-street parking, either. One week the advent of Turkey Day threw a drumstick into this clockwork operation. The trusty minions of the Davis Waste Removal brush removal crew arrived a day early, presumably so they could have Thanksgiving with families on Thursday. As the brush-gobbling dragon of Davis Waste Removal (DWR) rounded the corner, out of his castle charged our neighbor, ready to defend his decoy piles. With much jousting, this good knight was able to save his beloved debris in distress from almost certain disposal. The three rescued maidens once again slept peacefully in front of their master’s house, and in their slumber defend against all who might dare park there. The DWR guys are still scratching their heads about this encounter with the lord of the asphalt. I hear the original account of this incident, as reported in a letter to the Davis Enterprise (11-24-00), still has a place on the DWR bulletin board. Happy hunting for a parking space. The season officially opens the day after Labor Day runs through UC Davis graduation days in June. I love this town, don’t you? 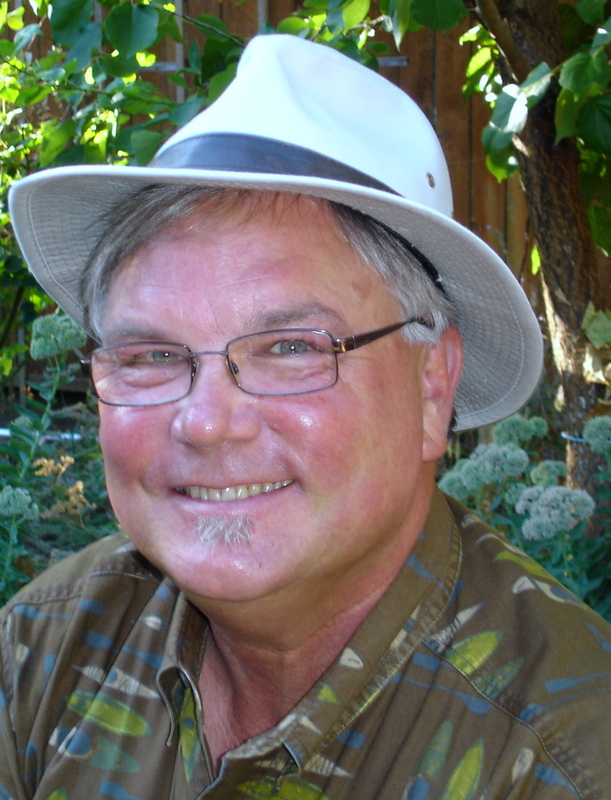 BIO — Clay Brandow (58) has lived in Davis on and off (mostly on) for 40 years. Clay was once a car-less UC Davis student back in the late dark ages, when Davis parking was plentiful and the few existing traffic signals were turned off at night. This entry was posted in Humor, Retirement, UC Davis and tagged crazy neighbor, Davis Waste Removal, DWR, Grumpy old man, misanthrope, Parking, Student Cars, UC Davis. Bookmark the permalink. Very amusing! 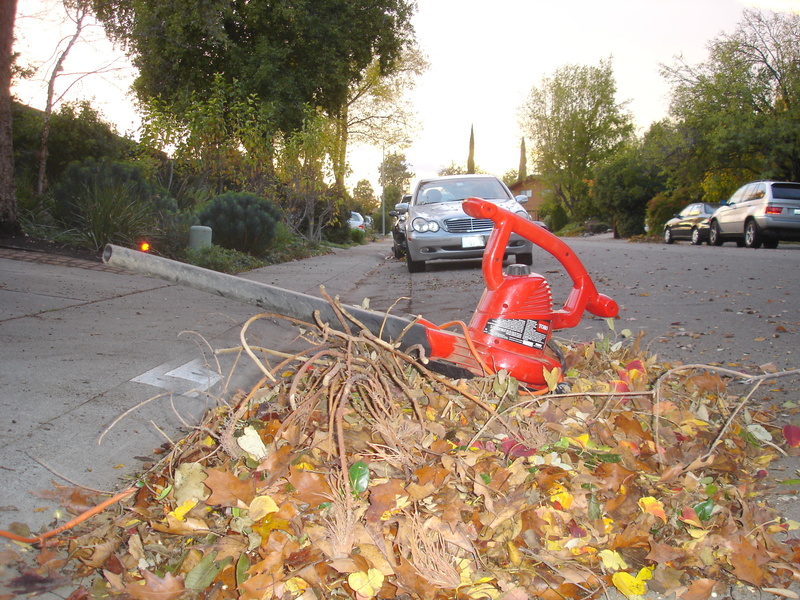 I think the idea of portable leaf piles is highly creative, and from what I hear could be very popular on the east coast to reserve a plowed space for one’s car. I can be identified as one of those mad gardeners who might be seen in the dark of evening harvesting the strategically placed leaf piles for my compost mix. But I suppose eventually even I might reach a point of leaf saturation. Lol! I love this article dad!! We totally need some “porta-piles”. Now that I am the proud owner of an automobile I find myself cursing the Kaiser patients. One time I actually just got out of the car and tired to push another car so I could fit mine in. Needless to say I was unsuccessful!